Your amazing NCS journey starts here. It will only take a few minutes to sign up. Over 500,000 16 and 17 year-olds have already taken part in NCS and had an experience to change their lives. Please ensure that the person filling out this form is your parent/guardian. If you require more information before filling out this form please visit this page or contact us on 01254 304071. 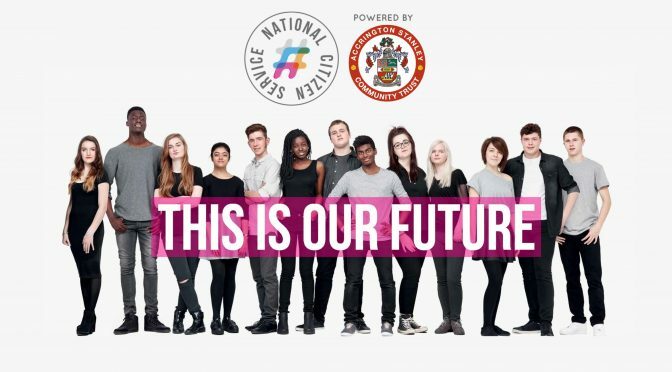 You'll get the opportunity to choose when you'd prefer to do NCS, if you're currently 15 you'll need to turn 16 by 31st August to sign up for the summer programme or to be eligible for the autumn programme. Don't worry if not, you can still continue to complete the form and we'll keep in touch. During the NCS residential participants may get to take part in 'water related activities' which may include but are not limited to swimming, kayaking, canoeing and rafting. Whilst this is not an exhaustive list please indicate if you are happy for the participant to take part in such activities. It is important for the welfare and safety of the participants that you declare all medical conditions and information. In most cases it will not prevent the individual from participating but allow us to provide suitable support for their needs. If you answer yes to any of the questions below, please state the issue and any actions or medication required and/ or activity in which the participant can not be involved. - staff are not permitted to take any responsibility for or to administer medicines. You are therefore responsible for ensuring any medicine is available and taken correctly. - you understand that whilst involved in the programme activities the participant will be under the care of the Community Trust staff and other suitably approved adults. Whilst we will take all reasonable care of participants you acknowledge that in the absence of our negligence, participation in the programme is at your sole risk and that we shall not be liable for damage or injury arising from activities. - In the unlikely event of an accident occurring, you provide your permission for a designated representative of the Community Trust to authorise emergency medical treatment, including the use of anaesthetic if deemed necessary. - During the programme the participant will be responsible for getting to and from agreed venues, and will be allowed to leave without collection. - For the residential venues or where transport facilities are provided as part of the project, the participants will be responsible for getting to and from the designated meeting location. Participants will not be allowed to leave other than from that location, but will be permitted to leave from that location without collection. - During the activities, for example as part of the Social Action Project, the participant may be required to undertake travel unsupervised, either on foot or by public transport. You give us permission to allow the participant to leave designated locations (other than the residential or supervised trips) without collection, and to undertake some travel unsupervised. Do not miss out on our amazing offer – pay before the 25th April and receive the Summer Programme for just £20! Don’t forget to pay for your place by visiting our online store here.